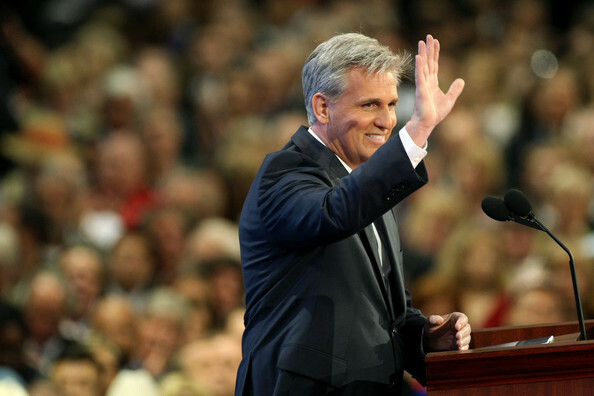 "California’s high-speed rail project was in the spotlight in both Washington D.C. and Bakersfield this week. On Thursday, I testified at the House Transportation and Infrastructure Committee in opposition to the HSR project as currently planned. This followed Wednesday’s action by the Bakersfield City Council, which voted to oppose the HSR project as well. "Like many members of our community, I have had long-standing concerns about this project and am glad that from the local level to the federal level, we’re taking a stand to demand more answers. From the costly impacts the rail line would have on our community to the enormous price tag and questionable ridership estimates, I simply do not have confidence that this project is even viable. And clearly the private sector doesn’t either. "To date, not a single dollar of private money has been committed. And while the California High-Speed Rail Authority has admitted private dollars won’t be forthcoming anytime soon, it does assume about $11 billion in private funding once they start building. This “if we build it, they will come” scenario is nice in theory, but it is not something I want to gamble $100 billion on. And that’s why I introduced legislation (H.R. 3143) to freeze all unspent federal dollars on this project. "Contrast California’s HSR project with this week’s announcement of Stratolaunch Systems, a new space travel venture spearheaded by Microsoft co-founder Paul Allen and aerospace designer Burt Rutan. This is fully financed by private investors willing to take a risk on an idea they believe will be profitable. And that risk will mean new jobs and revenues for our local economies, as the first plane for this new venture will be constructed at the Mojave Air and Space Port. Speaking of Mojave, December 14 marked the 25th Anniversary of the historic Voyager Aircraft flight; the first aircraft in history to fly around the world without stopping or refueling. On Saturday, there will be a celebration at the Mojave Air & Space Port and I encourage folks to turn out to reflect on how our communities have made history and visit with some of the people behind it, including the Rutan brothers. "Earlier this week, the House passed legislation with bipartisan support to extend middle class tax relief, reform our unemployment insurance system to make it more accountable and compel the President to make a decision on the Keystone XL pipeline, which can create tens of thousands of jobs now if it were not blocked by federal bureaucrats. The legislation also included a provision that ensures our seniors continue to have access to doctors by preventing a massive payment cut to physicians who treat Medicare beneficiaries. And we did it all without raising taxes or adding to our debt. "I remain optimistic that we can bring our nation back stronger than ever, and I will continue to fight for policies that empower the families and small business owners in our communities. The Christmas spirit alive and well in Bakersfield, but what happened by my old black Crocs? * ... CHRISTMAS SPIRIT: If you are not in the Christmas spirit, you will be after reading this note from reader Janet Fishburn. "I just learned that people in California and Michigan have started going into K-Mart stores to act as 'Layaway Angels'.....which means someone would pay off a stranger's layaway bill so that the children in that family would be sure to have the Christmas gifts their family intended for them. We went to the Wilson Road K-Mart yesterday and were able to pay off a bill for a single mother with three children. (the gifts were still in the shopping cart so we could see them, but were ready to go back onto the shelves, because she had missed some payments). The store manager, Patrick, was most helpful in getting this set up, and it only took us 10 minutes in the store to take care of this and write her a quick Merry Christmas note. And then Patrick called her to inform her that a 'Layaway Angel' had taken care of her bill. Hopefully, she was very happy about this.....it certainly made us feel good! * ... THEFT: It's easy to get jaded about petty theft, but sometimes (like when a pair of old black Crocs was snatched off my porch) it just makes you shake your head and wonder. For Olivia Garcia, editor of BakersfieldLife magazine, her surprise came when her double jogging stroller disappeared from her front porch in a desirable northeast neighborhood. "It's a sad state when you have to worry about leaving a stroller out by your front door and risk it being stolen," she said. "Really. Who steals a stroller?" Well, someone does and it may just show up at some yard sale next to my tattered old black Crocs. And now that we're on it, this is a good reminder to be vigilant about UPS or FedEx deliveries. The thieves are out there in force. 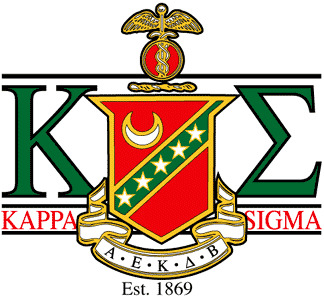 * ... KAPPA SIGMA: An earlier blog post mentioning the Kappa Sigma fraternity drew this response from Joseph Gianquinto: "Brother Beene, fortuitous as it may seem, when I provided the information regarding the return of my sons to Bakersfield to make their lives, I did not mention their fraternal memberships, nor mine for that matter. I became acquainted with the Five Friends and Brothers .... in 1960 at the then Missouri School of Mines and Metallurgy, Beta Chi Chapter. My older son took the walk at Northern Arizona University, and my younger at Colorado University. 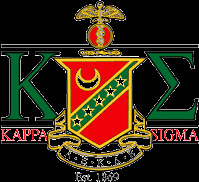 We are all three proud Kappa Sigma brothers, and now we know you as a brother as well." * ... SPOTTED: A young mother with three very small children is spotted jaywalking amid afternoon rush hour traffic on Ming Avenue near Toys 'r Us. * ... DUSTIN'S DINER: If you are out seeing the Christmas lights of Bakersfield make sure you swing by Haggin Oaks to visit Dustin's Diner, the hot cocoa and cookie stand that has raised thousands of dollars for the homeless over the past decade. The original Dustin - Dustin Kilpatrick - is now long gone, having graduated from USC in engineering, but his cocoa stand remains staffed by energetic neighborhood kids. It will be open until Friday, December 23. * ... BAKERSFIELDISM: You might be a Bakersfield old timer if you remember the "Chubby Steak at Tiny's on the Northeast corner of 18th and Chester, the 25-cent burgers at Burger Haven at 34th and Union, and Axelrod the Basset hound mascot of the old Flying A gas station on the same corner!" Thanks to Craig Holland for submitting this memory. * ... ENERGY: There is a lot of good news on the local energy front. Oil and gas production is booming, good jobs are being created and now I read that U.S. petroleum imports are down to just 46 percent of total consumption, compared to 60 percent just a few years ago. That's according to the Wall Street Journal which says U.S. crude oil production has risen by 18 percent since 2008. "The reason is the appearance of a new source," the paper said, "'tight oil' which is extracted from dense rocks. In 2000 it was only about 200,000 barrels per day, 3 percent of total output. Today is is about a million barrels per day." All good news for our local companies and suppliers. * ... GOOD GOVERNMENT: Keep your eye on a new organization in town that is supporting responsible and sustainable government. It was created by three 30-something local businessmen - John Paul Lake, Patrick Wade and Chad Hathaway - and it promises to be an important new group to hold our local politicians accountable. It's called "Kern Citizens for Sustainable Government" and no doubt you will be hearing more from these guys in the days and weeks to come. They've got the smarts, the money and the connections to make things happen. Lake works at his family's business Rain for Rent, Wade owns Precision Pharmacy and is a member of the city Planning Commission and Hathaway is in the oil business. * ... OVERHEARD: A young woman at a Starbucks orders two iced green teas, one with three packets of sugar and the other with 20. That's right, 20 packets of sugar. * ... LIGHTS ON: I stopped by a neighborhood gathering in La Cresta recently to watch the lighting of a huge Christmas tree outside and join in the revelry. For the past 20 years, folks in La Cresta gather along a stretch of Hermosa Drive to light the tree and enjoy the Christmas spirit. Cindy Anspach and Kathy McDermott organized the event with That's Amore Pizza supplying dinner via a portable pizza oven mounted on a trailer. Neighbors brought appetizers and desserts and it was a remarkable way to usher in the season. Other neighbors involved included Jane and Bruce Haupt, Frankie Villani, Greg McDermott, and Reed Adamson. * ... SPOTTED: From reader Harry Love: "At the corner of Merle Haggard Drive and Highway 65 next to the Choco Taco stand at the Shell station. Two signs: 'Now Open Unit 7 PM,' with one underneath 'Obama Bin Lyin.' Apparently tacos are political or not liked by Democrats." * ... EXTREME SPORTS: By day Glenn Bland runs a successful solar company (Bland Solar) but the 46-year-old Bakersfield native spends his off hours testing his body in extreme athletic events. Bland just returned from eight days in Tasmania, where he completed in the World Championship Expedition Race that drew 80 of the best four-man teams in the world. It included 130 miles of hiking, 200 miles of mountain biking, 100 miles of kayaking, navigation, and sleep deprivation. The Tasmanian government granted special permission to allow the teams to traverse some incredibly rugged - and beautiful - terrain, a true wilderness adventure. Bland previously competed in a similar race in Australia. * ... HART PARK: I stopped by Hart Park Sunday (is there a more beautiful setting in town than Hart Park this time of year?) to catch a cyclocross race put on by Sam Ames of Action Sports. This was a warm up race before the cyclocross state championships set for January 21 at Hart Park. Pete "the voice" Wonderly provided the sound stage to announce the action and the hills were teeming with cyclists. Spotted on the course were local riders Mike Noel, David Rous, Leo Hinds, Adam Hensley, Carl Crawford, Wayne Rosenthal, Matt Clark, Anthony Finocchiaro, Jim Pappe and Gareth Feldstein. * ... MEA CULPA: Several readers reprimanded me for omitting Wasco High in my post about local schools vying for football Valley Championships. Though the Tigers fell short Friday night, they had a stellar year and deserve some recognition. Well done, lads. * ... WINNER: Hats off to Chris Laramy over at Culligan Water of Bakersfield for winning last week's Pig Skin Pick 'em contest in The Californian. He is now a two-time winner and certainly seems to know his football. * ... FOX HISTORY: Phil Foster wrote with an interesting bit of history about his family and the Fox Theater. Turns out his father and two brothers came to Bakersfield in 1929 and all were musicians. His uncle, Roy Foster, played the organ in the orchestra pit at the Fox during the 1930s and 1940s. "The orchestra pit was on a hydraulic lift and came up during the intermissions and Roy would play for the entertainment." His father, Les Foster, taught the piano and accordion and his other uncle, Lawrence, taught the brass instruments." * ... MORE FOX: Emily Shapiro reminded me that St. Louis, where she lived most of her life, also has a Fox Theater that was built a year earlier than our own Fox. * ... SPCA: Local Realtor Patsy Sadler wrote with a well deserved pitch for our local SPCA. "When I dropped off some blankets at the SPCA I found out they operate solely on donations.... no government help! I bet a lot of people don't realize that, so I just thought I'd drop a line and maybe people would be more giving to that organization that always need more dollars. They will keep a dog or cat until it dies no matter how old it is." * ... BOY SCOUTS: Tom and Jack Saba asked that I give a plug to a fund raiser for Boy Scout Troop 147, and who is going to say no to the Scouts? The troop is holding its "Great American Bowl Off Junior and Adult Tournament" on Saturday, January 28, at AMF Southwest Lanes on Wible Road. It's only $20 to enter and that includes a slice of pizza, soda and bowling shoes. You need to be signed up no later than January 3. Call Tom or Jack at (661) 304-1993 or contact them at tom@sabaagency.com.